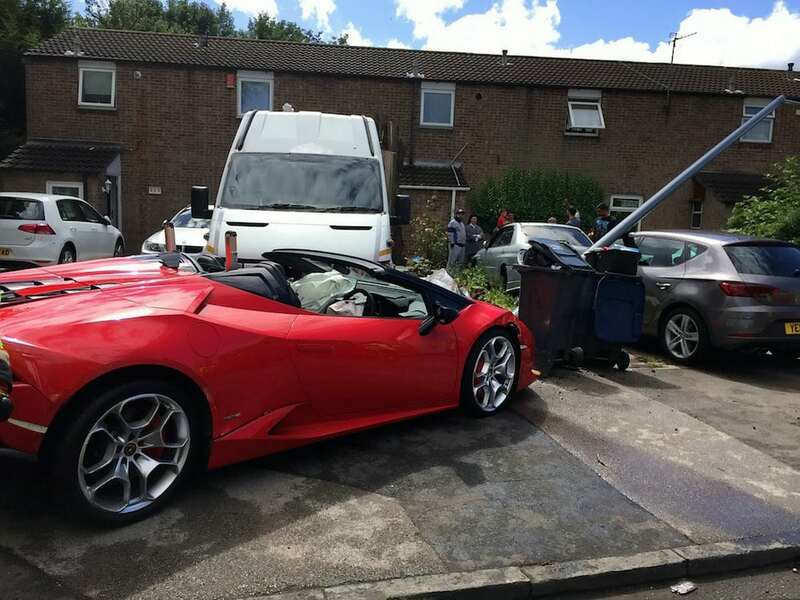 A Lamborghini was written off by a red-faced hire driver who smashed it into a LAMP POST. 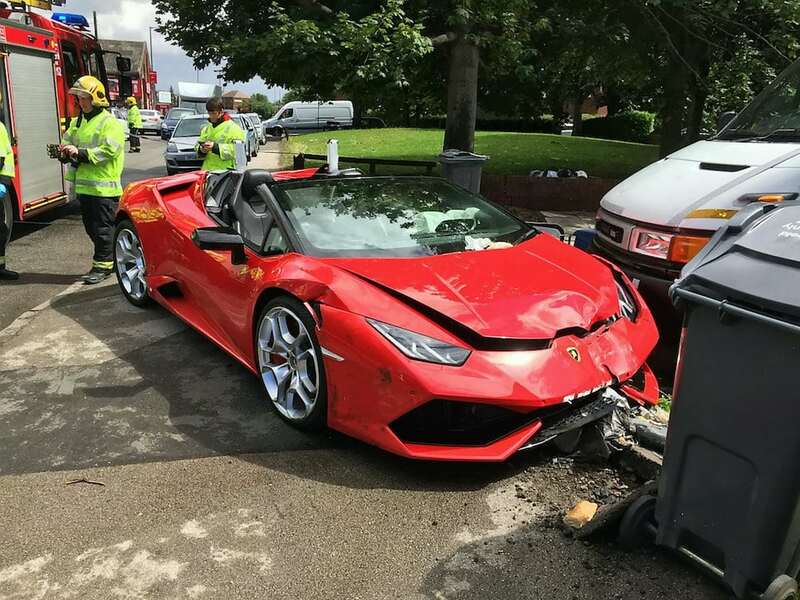 The bright red £220,000 Huracan Spyder mounted the kerb and ploughed into three stationary cars before hitting the post and coming to halt on a driveway. The 25-year-old male driver had hired the supercar from a luxury rental firm shortly before the crash at 1.20pm on Monday (31/7). West Midlands Fire Service tweeted pictures of the wrecked car after they were called to Garrison Lane, Bordesley Green, Birmingham. A Lamborghini – worth around £220k – was left a wreck after it crashed into two cars and lamppost. Around ten firefighters attended the scene and the driver suffered an injury to his nose but refused hospital treatment. A West Midlands Fire Service spokesman said: “A sports car was in collision with another car and then hit a lamp post. “It also collided with a third stationary car on a driveway. “We requested an ambulance because the driver sustained minor injuries. A West Midlands Ambulance Service spokesman said: “Paramedics were called to the scene. “The driver, a 25-year-old man, had received an injury to the bridge of his nose but refused hospital treatment. Witnesses say the convertible, which has a maximum speed of 201mph and can do 0-62mph in 3.4 seconds, was travelling at “no more than 30” when it crashed. One man living nearby said: “My pal saw it happen and said the guy wasn’t speeding but simply couldn’t handle the power of the car. “He was only going at no more than 30 but must have revved too hard or put it in the wrong gear and just jumped the kerb, struck the cars and hit the lamp post. West Midlands Police said both parties exchanged details and there was no involvement from them.